After a span of over two years that was, at times, fleeting, and at others, incredibly tedious, I have deemed my work on Code Junkie to finally reach its point where it is ready for a public audience and the loving friends and viewers who I have not yet had the chance to ask. I believe in this story, of Kevin and his unfortunate circle of friends, of Deptford County, the small community in the Pacific Northwest, and of every life and individual they cross paths with. After rewrites and moments of reconsideration, I felt a tremendous amount of indecision at times and proceeded to give it my best. From the encouragement of family and friends, we have arrived at where we are now. More than a dozen rejections have come my way by traditional publishers and agents and that is alright -- that is the nature of the industry. I appreciated their consideration. I will continue to spread the story of Kevin and Code Junkie, but at its own pace. This was a labor of love. I want to thank Cassandra, Heather, and Mr. Lawrence for being my guinea pigs in thoroughly reading, editing, and giving me their initial thoughts, before anyone else. This extends to Rachel, as well, although she was a few months after the fact. It is wonderful to have trusted friends give objective observations and reviews... only for them to affirm your work or help you out. I also want to thank Alec for going back and forth with me a dozen times in preparing the cover art -- he takes commissions if you need any work done and has an incredible style and range. Heather also helped to format it for finalization. 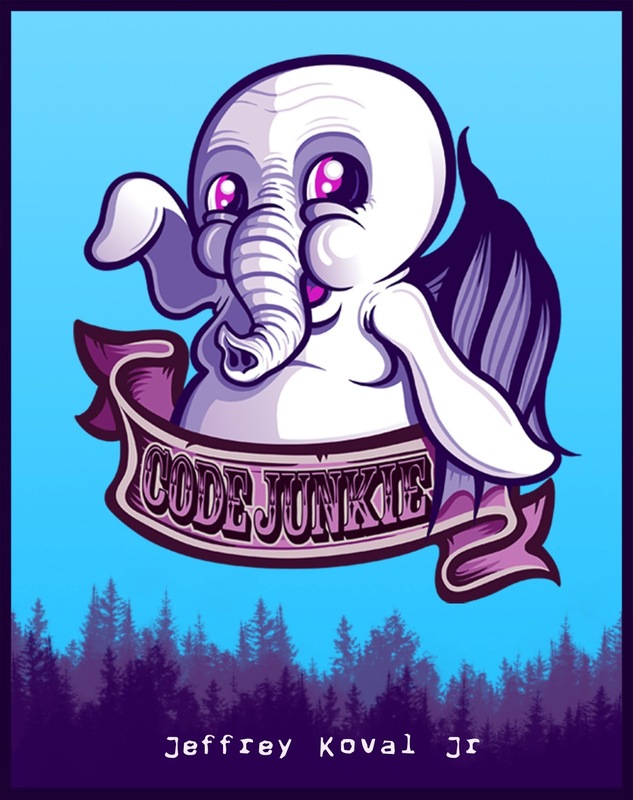 I never expected to monetize Code Junkie unless it was to be picked up by a publishing house, but having taken a route I did not expect to, I am going to mix it up a bit. If you wish to monetarily contribute, feel free. Think of it as a tip if you enjoyed the story, heh. It is always appreciated. Thanks, again, for following me and my creative work. I intend for this to just be the beginning. Thank you, HYBRIDs, friends, family, and confused viewers stumbling across my nonsense. Much love. Deptford County, Washington Welcomes You!